Roy said the TMC government was "suppressing and pressuring every constitutional body" and that is why he has opted to for the voter card to oppose the West Bengal regime. 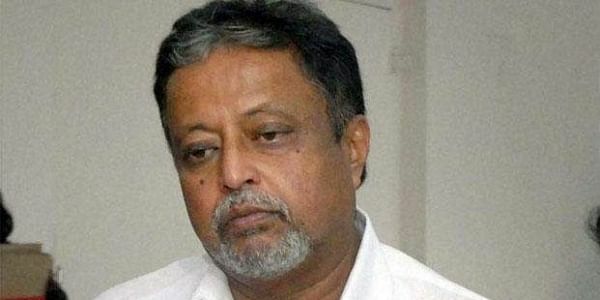 NEW DELHI: The BJP's Mukul Roy today said he would move court on Friday against the West Bengal government for allegedly tapping his phones. The former Trinamool Congress MP, who left his old party to join the BJP earlier this month, said he would file the case in the Delhi High Court. "I am not being able to speak to anyone on the phone. All my phones are being tapped. This is illegal and I will go to the court with my complaint and also make the central Home Ministry party to this," he told reporters here. Roy said the TMC government was "suppressing and pressuring every constitutional body" and that was a reason why he had opted to become a voter from Delhi because it would allow him to voice his opposition to the West Bengal regime. After being on the voters' list in Bengal for long, Roy has now applied for a voter card from Delhi. "Since most of the time I am in Delhi, I felt I must change my voter I-card and become a voter from Delhi," Roy said.